BUCYRUS — Several people were taken to area hospitals after a three-vehicle crash on Ohio 4, near the entrance to the HideAway Country Inn, on Sunday. 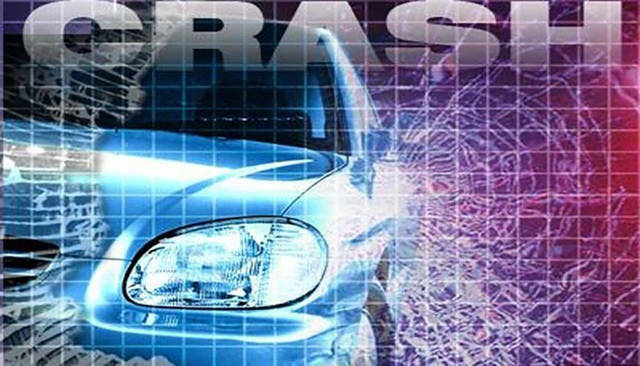 According to a news release from the Crawford County Sheriff’s office, 911 dispatchers answered several calls, starting at 4:37 p.m., reporting a three-vehicle crash with injuries. Deputies and members of the Bucyrus Township Volunteer Fire Department and Life Support Ambulance Service were dispatched to the crash. Upon arrival, deputies learned that a white 2014 Kia Forte, driven Aaron T. Stilwell, 19, of Bucyrus, was southbound on State Route 4 when it struck the rear end of a silver KIA SUV driven by Jenese Ekleberry, 37, of Sycamore. Deputies said Ekleberry was stopped in the southbound lane of State Route 4 attempting to turn east into Hideaway Country Inn. After this collision Ekelberry’s SUV was pushed into the northbound lane of State Route 4 and was struck by dark green 1998 Honda minivan driven by Mattie Ralston, 31, of Richwood. The second collision caused Ekelberry’s SUV to flip onto its top. Ekelberry’s nine-year-old son was a passenger in her vehicle. Ralston and Stilwell were traveling alone. All drivers and the one passenger were transported to the Bucyrus Community Hospital by Life Support Ambulance Service. Ekelberry’s nine-year-old passenger was flown to Children Hospital in Columbus. Ralston was flown to Grant Hospital in Columbus. The conditions of those injured have not been released. The crash remains under investigation. Troopers from the Bucyrus post of the Ohio Highway Patrol provided assistance at the crash site.